If there wasn’t for Napoleon Bonaparte and his exile, the widely known green tipped Bourbon coffee would probably still be neglected, sporadically growing in the numerous locations at the mountainous St. Helena island, which belongs to the British Overseas Territory, with about five thousand inhabitants. Its peculiar taste, based on the deeply floral and fruit tones, brings up the East-Africa character to your cup of coffee and that’s what makes this coffee so special and valuable. The uniqueness of this magnificent beverage also lies in the rarity and geographic origin of its beans – it is grown in the middle of the South Atlantic, between Africa and the New World. 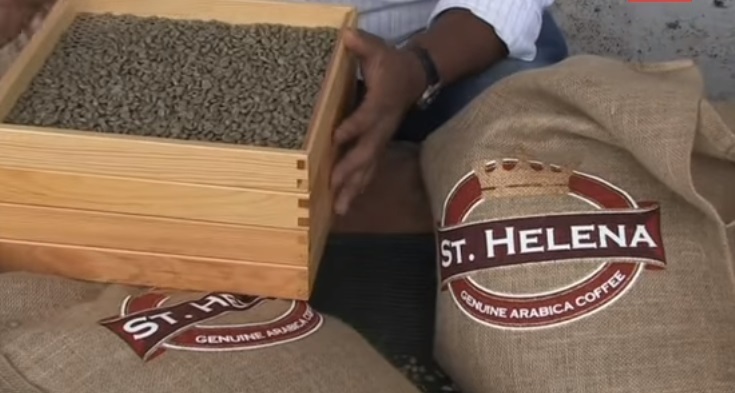 When compared to the other old coffee beans coming from Yemen, the St. Helena coffee beans are a bit larger but they’re still small, in an oval shape, with a crease. During the period which Bonaparte spent on the island, from 1815 until the moment of his death, in 1821, he used to say the only good thing about his days in St Helena was the coffee, which was originally brought from Yemen, in the first half of the 18th century. The one who brought the coffee beans from the Red Sea port of Mocha to the island of St. Helena was Captain Philips of the East India Company, in February 1733, and it was the order of Governor Pyke. Not long after Napoleon died, this coffee became popular in Paris and about a hundred years from its discovery, it was a pretty important product on London’s market, whose quality was noticed by the Wm Burnie & Co. After their positive reactions, St Helena coffee was launched to the market with the price higher than the price of any other type of coffee sold by then. This amazing book may be the perfect reading in the moments you spend drinking your cup of St Helena coffee becouse you may find out something new about history of coffee on St Helena. Coming from the pen of a coffee trader and historian, this book follows the turbulent story of coffee through the history, putting this valuable product into different social, economic, and commercial contexts, depending on the period of the past. Antony Wild undoubtedly successfully tells us an intense story and a quite provoking expose of the coffee industry development, starting from its earliest days and periods of slavery in the plantations, all the way to the coffee industry we witness nowadays – the one that is highly dependent on the advanced technology of the modern era. 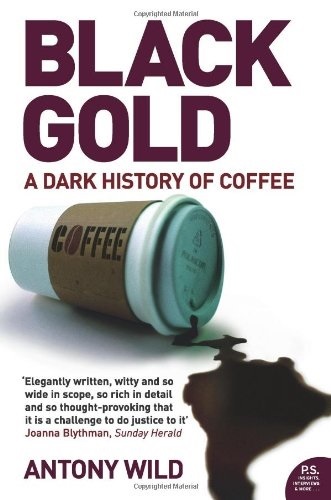 Chances are – after reading this book, you may stop considering coffee as just another commodity, and that was probably one of the writer’s main goals, having in mind he used the phrase „black gold“ to refer to it in the title. and also attracted some more producers to join this growing market, after what the harvest of the island’s production started to grow significantly, at some point reaching nearly 20 acres of coffee plantations, with about 20,000 trees. However, the inequality in the success of the different coffee growers provoked disputes and troubles in the market. When David Henry left the island in 2008, coffee was cultivated on only two acres of land. Luckily, nowadays, the production is higher but it still cannot be compared to the production from the last decade of 20th century. During his exile on St. Helena, Napoleon never showed any emotion towards the food he ate or the beverages he drank and that’s what makes his statement about St Helena coffee and his attitude towards drinking it even more striking. It is widely known that he was a regular drinker of St Helena coffee and he usually enjoyed its rich taste at least two times a day – at six in the morning, with breakfast, then after lunch, and in the evenings, with dinner. The cups he drank the coffee from were equally admirable. He always had his coffee poured from a silver pot in the small blue cups ornamented with gold hieroglyphs and handpainted scenes of Egypt. He commissioned those magnificent cups from the Sevres porcelain factory in the beginning of the 19th century. Those who enjoy drinking the highest quality coffee in the world will probably also enjoy drinking it from a really special mug. And is there a more special mug for a person who knows the story of St Helena coffee than a lovely white ceramic coffee mug featuring the map of St Helena island during the captivity days of Napoleon Bonaparte? 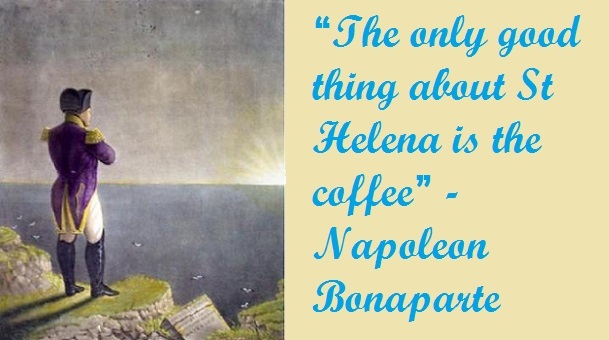 Just think about the fact Napoleon enjoyed drinking St Helena coffee from a special cup, as well! The size of the image printed is about 118×80 mm, and it is printed by the sublimation ink process. The mug is microwave safe and it can be washed in a dishwasher without any worry. Unfortunately for all of the fans of St Helena coffee all around the world, finding this coffee anywhere outside the borders of St Helena may be really difficult. Usually, it can only be bought on St Helena, where it’s offered in the majority of the local coffee shops and restaurants as well as in the grocery shops and markets, where you can find coffee beans. 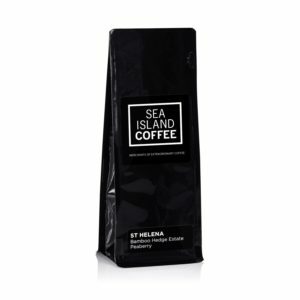 If visiting St Helena is too challenging for you, another place where you can try and find these exquisite beans is the London-based company named Sea Island Coffee, which offers a large number of coffee types from numerous exotic areas around the planet among which you will certainly be able to find the peculiar St Helena coffee, as well. 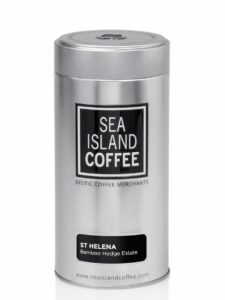 Coming from St Helena island in a sophisticated silver tin package or bag of 8.8 0r 4.4 Oz, Whole Bean Coffee produced in Bamboo Hedge Estate offers a pure pleasure of the quality St Helena coffee beans, providing you with the perfectly combined notes of honey, berry, citrus, and stone fruits, united in the beans of the most precious coffee in the world. Bamboo Hedge Estate plantations are located 400 meters above sea level, in the Sandy Bay valley, providing the perfect conditions for St Helena coffee cultivation. If there wasn’t for The East India Company who sent the native Green Tipped Bourbon Arabica to St Helena, we probably wouldn’t have a chance of enjoying this coffee in a way we do it today. Practically packed into a 4.4 or 8.8 Oz elegant silver tin (or bag) with a handy twist-top that enables multiple uses without lowering the quality, your ground to order, freshly roasted coffee will reach you in a best possible way. Preparing coffee from this tin, you’ll be able to enjoy an exclusive cup of 5-percent peaberry coffee, which belongs to the group of the rarest and most exotic types of coffee in the world. This subtle coffee owes its fame and value to its delicate floral notes and pronounced fruitiness. This package is brought to the international market by Sea Island Coffee, the widely known merchants of exotic rare coffee. And if you find yourself in the streets of St. Helena craving for something a bit stronger and more exotic than coffee, don’t hesitate to buy Midnight Mist Coffee Liqueur produced at the St Helena Distillery by special blending procedure of St Helena coffee beans. Even though the experts’ predictions vary from the optimistic to not so positive when it comes to improvement of cultivation and increase of production, the fact is the world still has to satisfy its needs with really small amounts of it. Today, the production of St Helena coffee doesn’t require more than a couple of containers to be packed. The optimistic predictions are additionally questioned if we have in mind the drastic decrease in the production during the last couple of years, which limited its consumption to only 150 kilograms per season. Another important fact that keeps the potential investors and coffee lovers from improving and increasing the cultivation of St Helena coffee is the difficulty of reaching the area of the island. The only way of getting to its land is by ship since there still are no airports on the island and in addition to this, it takes at least three nights at the open sea to reach the nearest embarkation port. If you not have enough money to buy St Helena coffee beans (most people not have), you can check best cheap coffee beans. Of course most coffee beans from list can not be compared with coffee beans from St Helena but this whole bean coffee can give you good taste and save you a lot of money. St Helena coffee is cultivated at the altitude of 720 meters and probably the most important climate characteristic is the rainfall of about 3000 mm per year. It flowers from December to April while the harvesting period lasts from October to February. Having in mind its delicacy and subtlety as well as the fact it’s grown in one of the purest environments in the world with special climate, it’s pretty obvious St Helena coffee requires a lot of attention and care when it comes to its cultivation, harvesting, and following activities such as wet processing and roasting. This way, its quality remains intact and none of the valuable characteristics are lost. More precisely, this means that livestock manure is not used because of the potential non-organic substances that might have come from the veterinary treatments or concentrated animal feed. Therefore, the only fertilizers allowed when it comes to the cultivation of the St Helena coffee are the natural ones, such as the guano (the dropping of seabirds), which is mostly applied to the base of the trees in the beginning of the wet season. The relatively small amount of the produced coffee is probably the main factor that allows a really rigorous control of quality. The processing method of St Helena coffee is full washing while the drying method includes a really slow sun-drying period. An average period for coffee drying at St Helena is about four months which is an extremely long period when compared to the coffee drying process in other parts of the world, where it requires only four to five days. 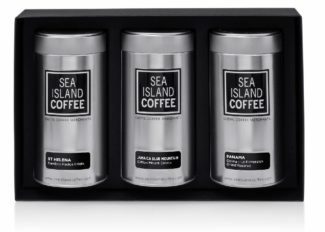 Brought to us by Sea Island Coffee, the package that includes three incredible types of coffee coming either in a resealable gloss bag or in a resealable tin with twist-top is definitely a mind-blowing gift for coffee lovers all around the world. In your luxury package, you’ll be able to find St Helena, Panama, and Jamaica coffee, each of them in a minimalistic package of 1.4 Oz or biger package 4.4 or 8.8 Oz. Characteristic for its sophisticated floral and acidic fruity taste, St Helena coffee comes from Bamboo Hedge plantations and it’s considered the best coffee in the world. The home of Panama coffee is La Esmeralda Grand Reserve plantation, located at almost 1,900 meters above sea level, providing a complex coffee flavor based on notes of stone fruit, jasmine, and bergamot. Finally, Jamaica coffee from Clifton Mount Estate brags with the hints of chocolate, floral notes, and sweet creamy aftertaste. Perfectly combined into this gift set, these coffee types make a real combo gift no matter what preferences the potential consumer may have. 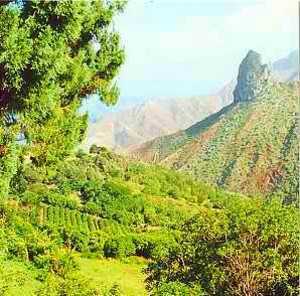 The taste of St Helena coffee represents an incredible combination of Yemen origins and New World impact. The complexity of this special type of Arabica coffee is owed to the stunning mixture of fruit, chocolate, and spices in its aroma, which is especially noticeable when the beans are medium roasted – only then they gain a mind-blowing floral and fruity touch based on citrus and caramel. The refined taste of the St Helena coffee in your cup that resembles the citrus and wine notes blending in with the chocolate delicacy is also owed to the perfectly balanced acidity (which is kind of unusual since the island coffees are usually known for a not so good level of acidity, owed to the low altitude of the islands). 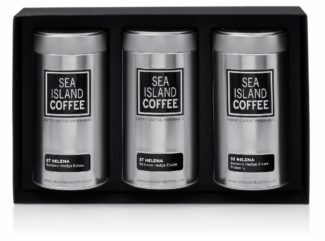 This special St Helena gift set carefully designed by Sea Island Coffee offers you the best coffee from St Helena in three practical tins that may be reused thanks to their twist-tops that make them reusable in a way that keeps the quality of the ground coffee. In this gift pack, you will be able to find some freshly roasted, ground to order coffee based on the fruity notes, originating from Bamboo Hedge Estate, which is located at 400 meters above sea level on the island of St Helena. Apart from two packages of green tipped Bourbon Arabica coffee, one of the tins features the rare Peaberry coffee, as well. Each of the tins brings you 1.8 Oz of coffee. Small amounts and exceptional taste, make this coffee price that will not leave you indifferent, especially if your budget is not too high. Is it worth it? I drink so much and I tried various coffee. You can buy St Helena coffee without regrets because the quality is outstanding. The negotiations between the Starbucks Reserve coffee buyer, Ann Traumann, and the coffee supplier started in the very beginning of 2015. However, Starbucks didn’t have too much luck during the first attempt of purchase – by the beginning of negotiations, the freshest harvest of 100 kilograms of coffee had already been sold. Deeply believing that St Helena coffee might have been a perfect choice for Starbucks, Traumann decided to wait patiently until the moment of the next harvest, wanted to make sure the quality of the coffee suited the needs of Starbucks. Almost two years later, the parties agreed and made a deal. In the name of Starbucks, Traumann ordered 100 kilograms of the coffee which was more than 30% of the total amount of the coffee produced that year on St Helena. Napoleon lies, a lot of beautiful things in relation to this little island, not just coffee. Anyone who has not visited St Helena I’m sure will enjoy if visit this beautiful place. Of course when you’re there do not forget to visit coffee plantations.